As your teen matures it can be difficult to engage and motivate them to study. Your teen is going through physical and emotional changes, and school can sometimes feel like a burden or stress. But before you panic, know that in some cases, lack of engagement is a phase. Many teens will find their groove as they progress through the school year. If your teen seems to be struggling, it may be that the work is too challenging or not challenging enough. 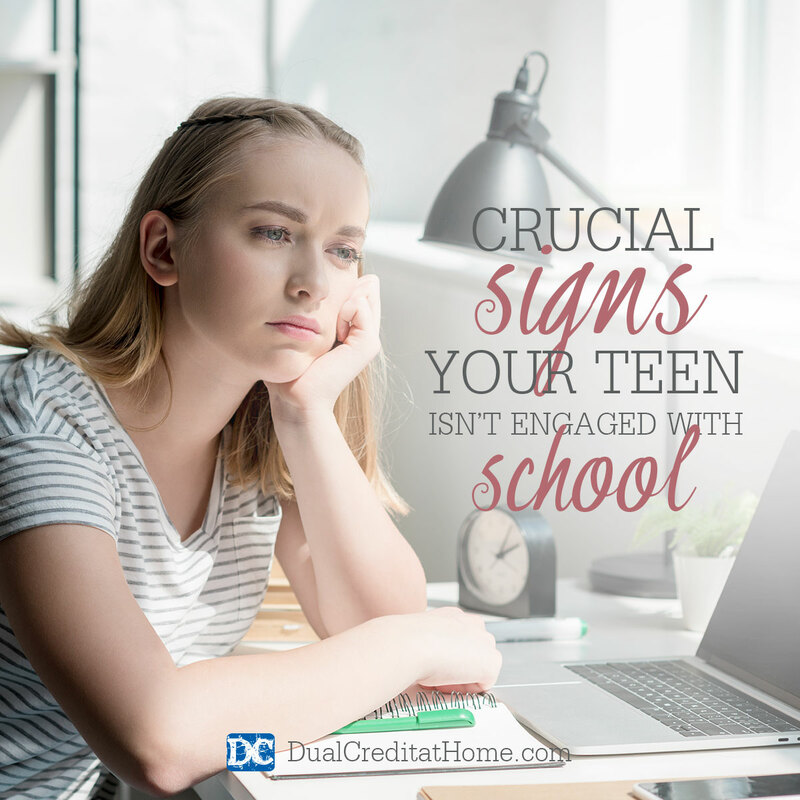 Here are some crucial signs that your homeschool teen isn’t engaged in their learning. Memorizing facts and definitions can have a place in a well-rounded education. But the bulk of your teen’s learning will come from critical thinking and discussions. An engaged teen will communicate what they’ve learned and articulate their opinions. If your teen is unwilling to take part in discussions, it could be a sign that they don’t understand or aren’t interested. Turning in an assignment late is normal once in a while. But if your student makes a habit of not finishing schoolwork, something else may be going on. It’s time to start asking some crucial questions. Does the schoolwork match your teen’s learning style? Would they do better listening to the subject instead of reading it? Is the schoolwork on the correct grade level? Have a frank discussion with your teen about the material. Ensure that your teen has enough time to study and that the work isn’t too difficult. Then brainstorm together about ways to make subjects more engaging. BONUS RESOURCE: Are you homeschooling high school? Get a copy of our free e-book, Homeschooling High School – The 75 Best Tips Ever! Your homeschool teen may not have the same social life as a typical public school student. But your teen should be connecting with others on a regular basis. Encourage relationships with teens from church, a homeschool co-op, or your neighborhood. Family members, adults, and mentors who take a role in their education are also important. These connections create a meaningful social network that will help them become engaged learners. Help your teen engage by seeking out internships, volunteer opportunities, and mentorships. An important part of homeschooling is that you can make adjustments to your methods and goals during the year. Nobody knows your kids better than you do, and nobody is more invested in their education. If you notice any of these signs in your teen, know that it is okay to temporarily hit “pause” on school. Make the necessary adjustments and take time to invest in your teen. Your relationship with your teen is more important and longer lasting than schoolwork. I'm Becky Muldrow, wife to my high school sweetheart, Gene, and mom to 10 great kids! I love spending my days homeschooling the last 4 of them and sharing (on my website and at homeschool conferences) how we do high school differently - by replacing it with college.